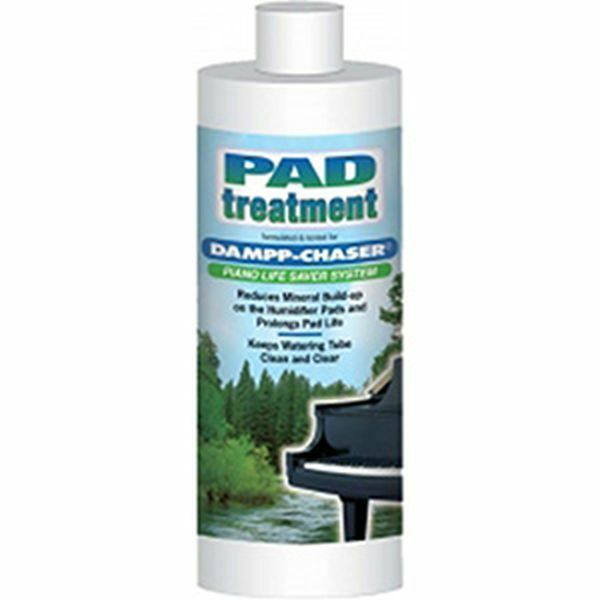 Dampp-Chaser® Humidifier Treatment was formulated to minimize the bacterial and algae growth in the Humidifier tank and watering tube of your Dampp Chaser® system. By adding 1/2 capful of Humidifier Treatment to each can of water, the piano owner can prolong humidifier pad life, keep the watering tube clear and reduce mineral build up on the pads and in the tank. Our tests have shown that Humidifier Treatment extends the pad life to as much as twice the normal life. Please Note: - This item cannot be shipped outside the USA.